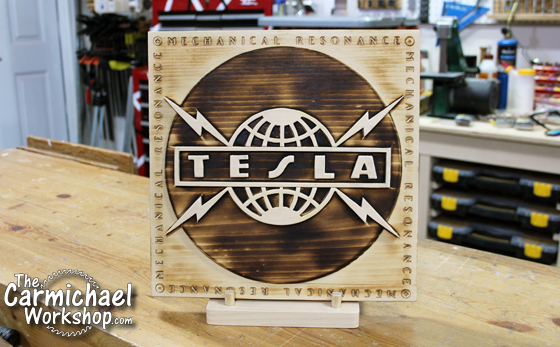 I reproduced Tesla's "Mechanical Resonance" album cover out of wood for the 2019 Makers Rock Album Art Collaboration on YouTube! Check out my video and enter my giveaway for a chance to win this artwork. Don't forget to watch the other participants' videos in this Makers Rock Playlist and enter their giveaways too! 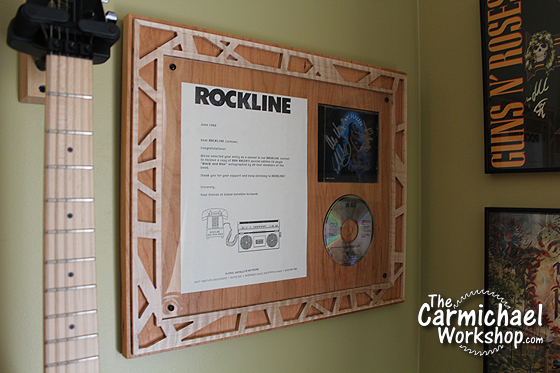 Here is a picture of the wooden Tesla album artwork I created. This was a fun project to make and I can't wait to do another album next year. 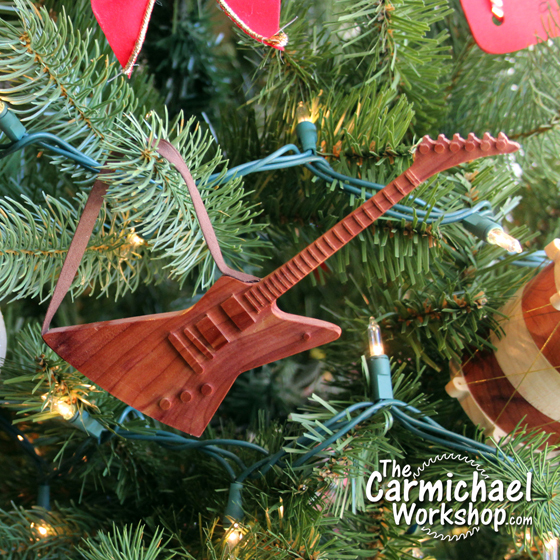 If you are interested in the next Makers Rock event, keep an eye on the Makers Rock Website for updates. 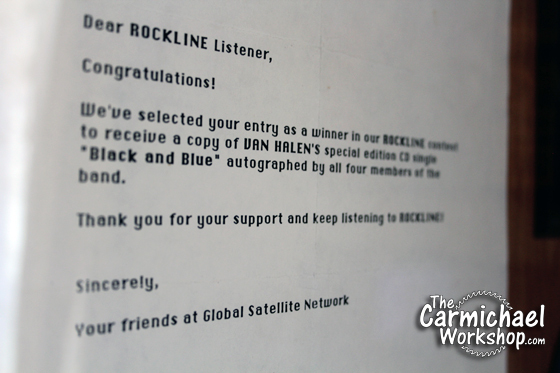 Enter for a chance to win this album artwork in the Rafflecopter widget below (for USA residents ages 18 and older only). The deadline to enter is March 29, 2019 at 11:59pm Pacific time. A winner will be selected on March 30th and automatically displayed in the Rafflecopter widget below. Good luck! This giveaway is not associated with Google, Blogger, YouTube, Facebook, Instagram, or Twitter in any way. 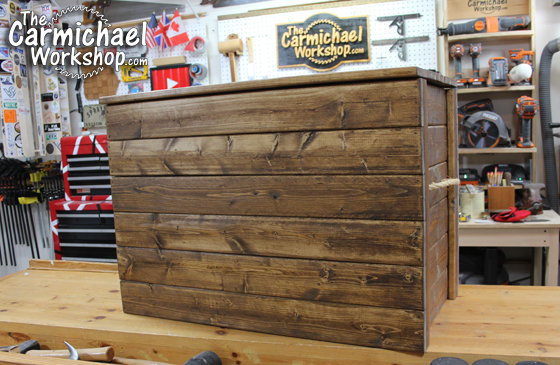 I made this Rustic Toy Box for a relative based on a picture they sent me. It's made from 1x4 furring strips and can be built using limited tools. Watch my video, then read further for details and download my plan to make one yourself. 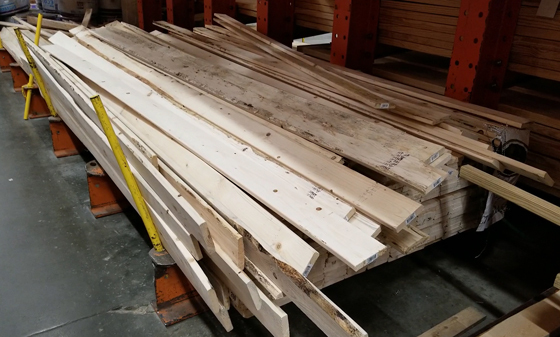 This project requires a minimum of eight 8-foot 1x4 furring strips that are readily available at the home center. Take your time and be selective when you pick out the boards. Make sure they are straight and check for any defects. I suggest buying one or two extra boards since they are so inexpensive, in case you discover defects later or you make a mistake. Click here to download my plan for this project. 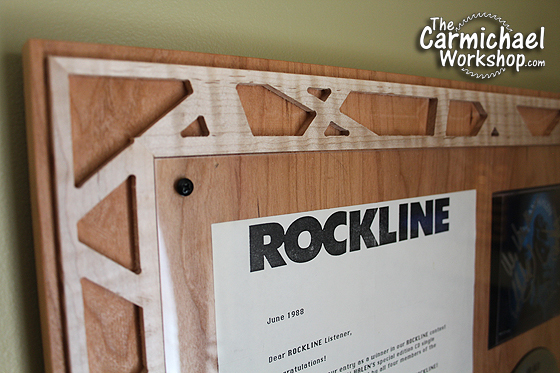 Cut all of the pieces to size then assemble it using a nail gun and glue. 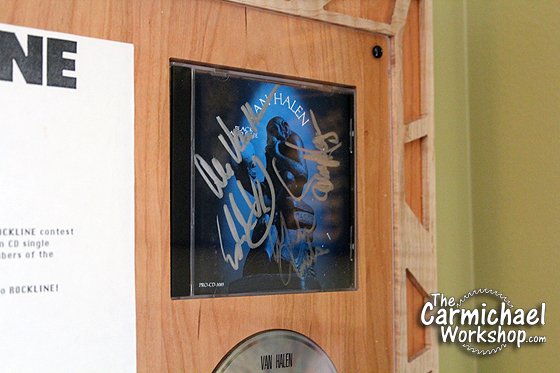 You can also use a hammer and nails or screws. Note that the furring strips can vary in width a little, so always measure your actual pieces in case you need to adjust the plan. 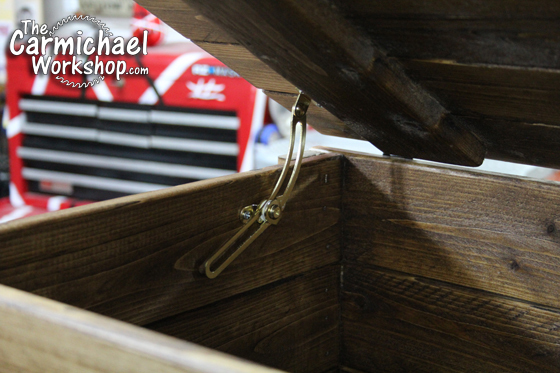 I used 1/2 rope for handles and a pair of strap hinges. I used hardboard for the bottom. Lid supports come in both a left version and a right version, so I installed one on each side of the toy box. 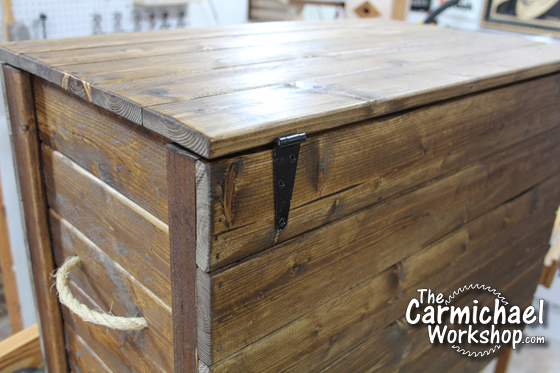 I finished the toy box with Minwax Wood Conditioner, then Minwax Provincial Stain, and sprayed it with two coats of Satin Polyurethane. The toy box turned out great and will only look better after lots of use and abuse.